For this article I wanted to touch on where All Star is at, specifically with what we have been working on this fall and touch on how busy we have been with various projects! 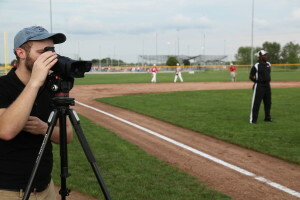 The fall season in general is a busy time for All Star Video Sports. With it comes the conversion of 3 different core sports going on at the same time. This creates a lot of opportunities for us to provide our tools and talents to help each young athlete succeed. First off we have the baseball season wrapping up. After shooting video throughout the summer and into the fall of various baseball showcase teams, baseball academies, and baseball complexes, we begin to focus more on the individual baseball athlete. Most players during the fall are looking to get video of themselves and their skillsets out to college coaches and scouts. 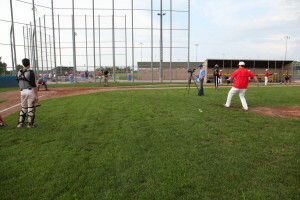 One thing we have done for years is the baseball skills shoot, which help these athletes show off their talents to colleges and allow athletes to send video of themselves around. So far this fall, we have been able to do one baseball skills shoot already for 13 baseball prospects. We have another one scheduled for later on this month. One sport we have been a little more involved in this fall as opposed to previous years is soccer. This year we are scheduled to get review video footage for a local high school in over 12 games over the course of their season. With that same school we also have 5+ recruiting videos to complete for various players on the team, as well as an end of the season highlight video to complete as a keepsake. In years past, we have been able to provide video to various soccer teams and recruits during the fall. Being able to produce this kind of video during this time of year once again has been a great opportunity for us to help more athletes. 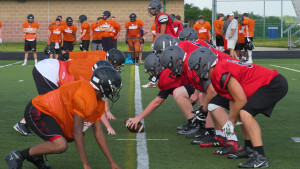 Just like in years previous, football is another sport All Star is entrenched in each fall. At the moment, we are working on recruiting videos for six kids around the Kansas City metro area, shooting highlight videos and promotional “hype” videos for 2 local high schools, and shooting a recruiting video for an athlete outside of the KC area. The football video work is often very extensive, with numerous hours going in to the videography part of capturing the sport, as well as the editing portion of each video. Although the task of shooting and editing video for each of these teams seem daunting at times, we couldn’t be happier to be so busy and involved. Getting the maximum amount of exposure for the maximum amount of athletes is our main goal, and times like this fall we truly get to see the benefits of working hard for our athletes.